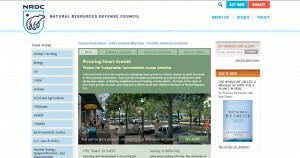 Cities and towns across the country are embracing smart growth as a better solution to meet the needs of their growing populations. Smart growth principles accommodate growth and development while saving open space, revitalizing neighborhoods and helping cool the planet. Just look at this vision of how smart growth concepts could help give a lifeless street new vitality in the town of Mount Pleasant, S.C.